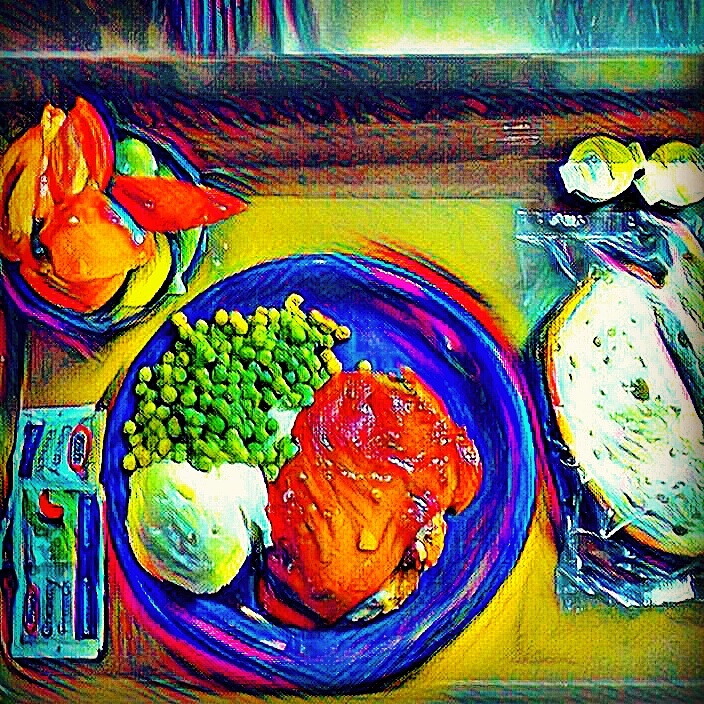 Well balanced meal at the mess hall. This looks like as if you painted it, I like the effects you used for this picture. It looks good I must say.